The Economic Community of West African States (ECOWAS0) today kicked-off its Regional Surveillance and Disease Control Centre (RCSDC) in Nigeria. Operations of the centre began with the inaugural meeting of Governing Council of the RCSDC in Abuja. ECOWAS’ RCSDC is the present Nigerian Centre for Disease Control, NCDC, which has also been adopted by the African Union, AU, as one of its five Regional Collaborating Centres for Disease Control on the continent. NCDC was established by the Federal Government in 2010 with the aim to protect the health of all Nigerians, through implementation of effective and efficient public health responses to the nation’s diseases and other health events. 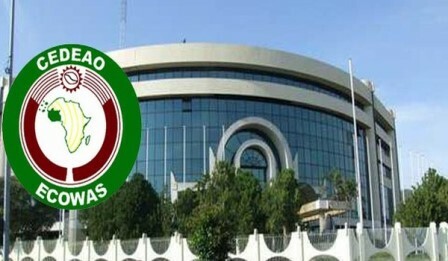 Decision to adopt the NCDC by ECOWAS for its region centre was endorsed by the 48th Summit of the Heads of State and Government held in Abuja in December, 2015. And, the centre will be managed for both Nigeria and ECOWAS by its present Director-General/Chief Executive Officer, Prof. Abdusalami Nasidi. He informed that designating countries that will serve on the Governing Council of the RCSDC for the next two years are Cote d’Ivoire, The Gambia, Ghana, Guinea, Guinea-Bissau and Senegal, which it said were approved at the 17th Ordinary Session of the ECOWAS Assembly of Health Ministers, held in Bissau in April this year. Minister of Health, Prof Isaac Adewole, said the decision to establish the RCDC was reached following the devastating impact of the outbreak of Ebola virus disease, EVD, in West Africa, with far reaching economic effects in the three most affected countries in our region. The outbreak, according to him, exposed the weaknesses of health systems in the region, and indicated a lack of readiness to respond effectively to EVD or any other serious health security threat in line with the core capacities outlined by the International Health Regulations, IHR. 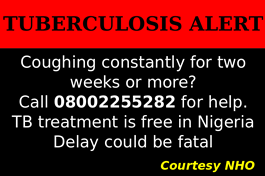 “Since 2015, other significant new threats such as the Lassa fever, yellow fever and Zika virus outbreaks have been experienced in the region. Nigeria’s role in curtailing the spread of these diseases in our region is acknowledged by ECOWAS’ decision to site the RCDC here…I am aware that this selection comes up with enormous responsibilities. On behalf of the President, I wish to assure you that Nigeria will provide an enabling environment for the efficient and effective implementation and the functioning of the RCDC,” he said. The Minister charged the stakeholders on increased surveillance and information systems for early detection of diseases, strengthening of laboratory capacity, preparedness and emergency response, and retention of trained healthcare workforce. He also assured that the centre would be built upon existing structures and successes recorded by the NCDC.